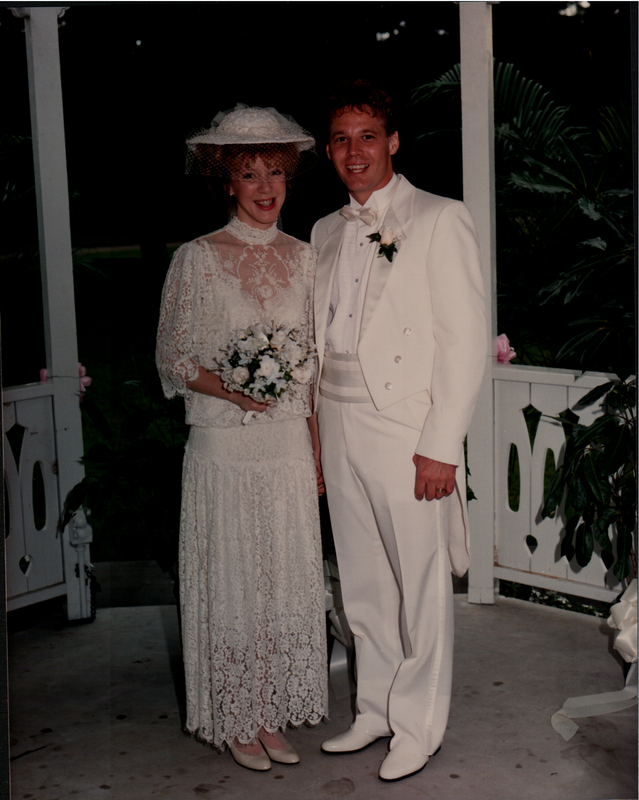 On June 7th, 1986 we were joined in marriage at the First Baptist Church of Friendswood, Texas. We were the first couple to be Wed in the beautiful white, victorian Gazebo under the great oak tree built in memory of Dot Wilden’s beloved husband. Money was tight for us both so it really had be put together on a shoestring budget. At the home of the Duffer’s we had a magical night at our Hawaiian Luau following our dress rehearsal the night before the wedding. Jerry Duffer performed the ceremony 18 years later came to work with us in Botswana! Rachel Burchfield told a story as she did “The Commissioning” to Africa as an important part of the ceremony. She told of how, when I was a teenager I had spent the night and was having a quiet time with God. I came out and said to her, “God spoke to me! !” She said, “What did he say?” With great excitement I shared that God told me my life was going to be a life of perseverance, and that he was going to teach me perseverance. Her eyes got big and I said, “By the way, what is perseverance?” So has my life been in many, many ways as we have learned to stick with it through thick and thin! We had a beautiful wedding and God pieced together every detail, including the pearls lovingly sewn on my wedding dress by family friends and my Texas-style hat. It was so wonderful to see so many people pull together to make it an unforgettable event. The wedding planner and family friend, Geri Hart Duffer helped coordinate flowers, music, cake, food, photos, presents, potpourri and friends. So many amazing people in our lives helped make that day unforgettable. . When we recently celebrated our 25 year wedding anniversary, we looked back in awe at the wonderful gift the Lord has given us in one another and so many people who have been a part of our lives to help us to fulfill His calling in much greater ways than we had ever imagined. We made a promise never to say the “D” word, (divorce). We’ve had our share of struggles as two people with very strong wills and ideas. But when placed in the Lord’s hands, He can do wonders with our flaws and weave them into a wonderful tapestry of destiny for His glory!